Finally? 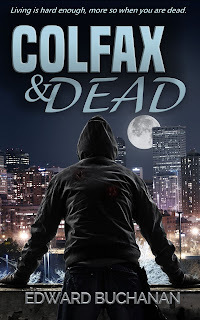 I hope so, the first volume of Colfax and Dead is complete. The three novella's work together and provide what I feel is a good story. Now after releasing the first novella to the world a year and half ago, I am adding the other two. Since some people bought the first novella and took a chance on me, I decided I'd repay them by updating the file so now they have the whole book where previously they just had the first part. To everyone who took a chance and tried part 1, thank you and I hope you enjoy the rest of the story. To everyone, there is more story to tell, stay tuned.